A near ten-year delay over MG Rover management pensions has been branded a &apos;complete, impenetrable mess&apos; - with no sign of a solution in sight - by Birmingham MP Richard Burden. The long-serving Labour MP for Northfield attacked the almost decade-long delay to resolve payout levels to 96 members of the MG Rover Group Senior Pension Scheme, with ex-managers potentially missing out on their full monthly payments. The &apos;hugely, hugely frustrating&apos; saga has left dozens of former managers still in the dark - with the tenth anniversary of the closure just over six months away. 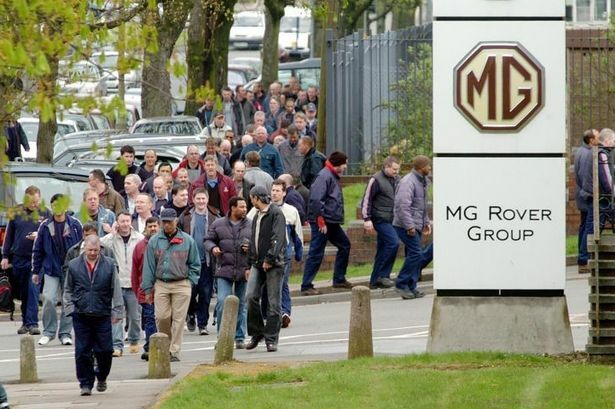 The senior pension scheme covers 96 former managerial employees who lost their jobs along with around 6,500 others when MG Rover in Longbridge collapsed amid debts of around £1.4 billion in April 2005. The ex-managers are currently being paid by the Pension Protection Fund (PPF) but could be missing out on their full entitlement while an investigation by the Pensions Regulator drags on. The probe - first announced more than four years ago - has also frozen the allocation of any funds from £23 million raised following the liquidation of MGR Capital, MG Rover&apos;s finance and lease loan book. Mr Burden said: "The situation is in a complete loop because the PPF are saying they can&apos;t do anything until the Pensions Regulator has completed their investigations. "It is a complete, impenetrable mess. The result is that former employees are not seeing clarity on their pensions, nearly ten years on from the anniversary of the closure." In a letter to Mr Burden, Pensions Regulator interim executive director Geoff Cruickshank said: "I appreciate that the scheme members would like greater certainty regarding the level of benefits they will be receiving from the scheme and I fully sympathise with the frustration they are experiencing. "I can assure you that the regulator is working toward concluding its investigation as quickly as it is able in order to provide that certainty to the scheme&apos;s members."